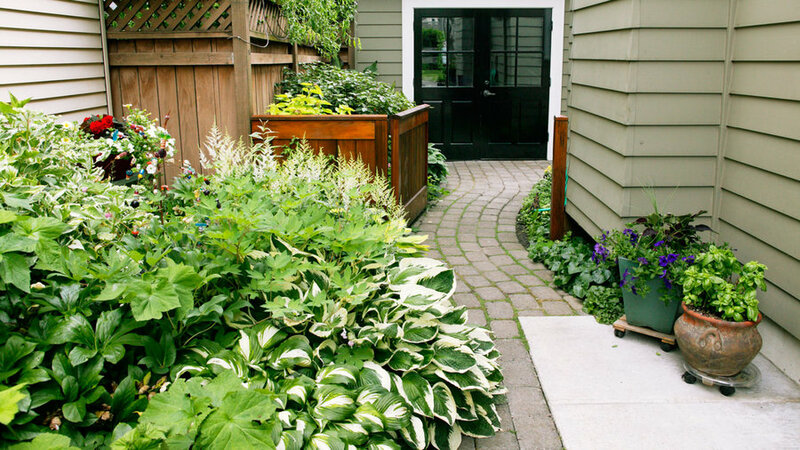 Enhancing a narrow in-ground bed is easy with a row of potted plants. 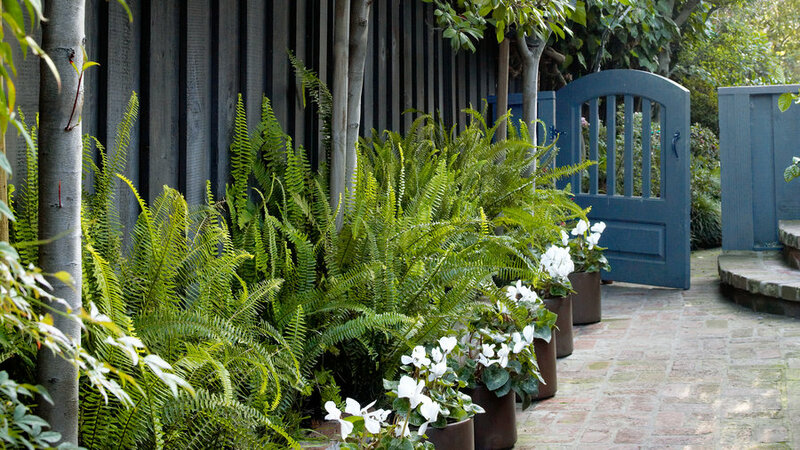 In this small, shaded side yard, cylindrical chocolate brown pots filled with white cyclamen line up against the raised border's low brick wall, making the fern-filled planting appear deeper than it is. Trellis for shade. A coated aluminum trellis overhead provides some shade, but its opening lets through enough daylight to bathe a privacy wall and fountain. Floral backdrop. Plants that tolerate drought and heat―including gaura, lavender, and salvia―draw the eye toward the back fence. Longer patio. The new patio is roomier than the deck it replaced. Rosy cocoa tiles enhance the expansive feel, as do the pavers. Curving seat wall. 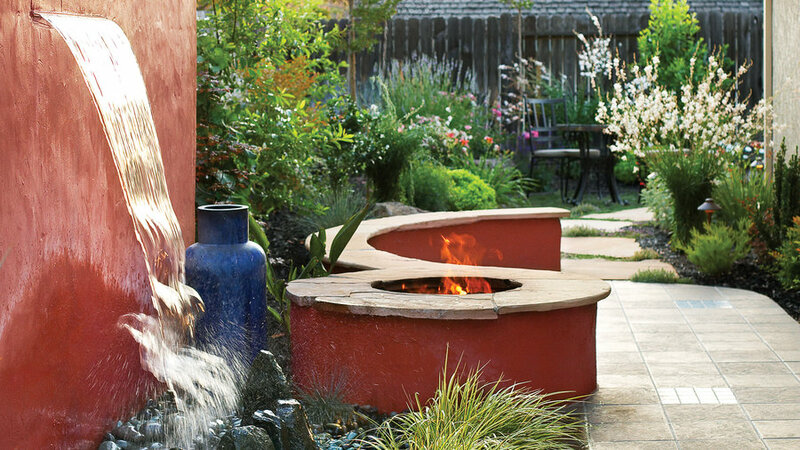 Topped with Arizona flagstone, this distinctive feature curves from the patio's end to the firepit. Fountain. A freestanding, stucco-faced wall, built 3 feet in from the property line and painted a rich persimmon hue, helps mask a neighbor's home. Water passes through a slit near the wall's top and falls through a bed of cobbles into an underground basin, then recirculates. If you like to rearrange your side yard a lot, grow plants in containers for mobility, and put casters on the largest ones. 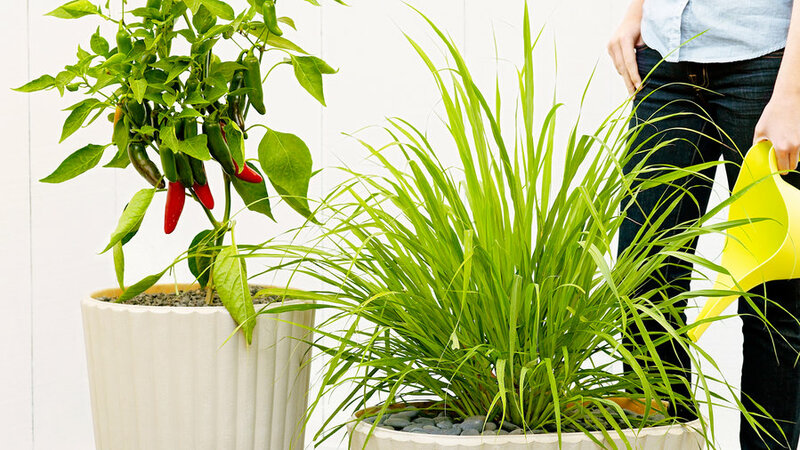 This gives you flexibility to move plants around as the sun exposure changes, or if you're entertaining. 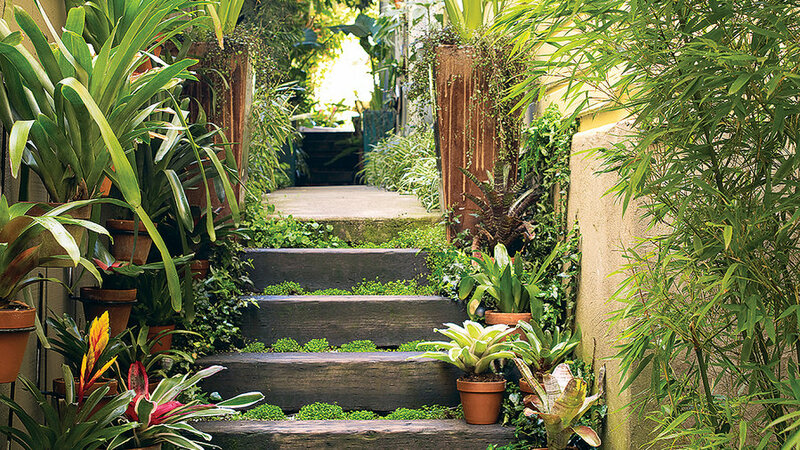 Turn your side yard into an exotic outdoor destination. A jungly planting theme gives a tantalizing glimpse of the oasis beyond. 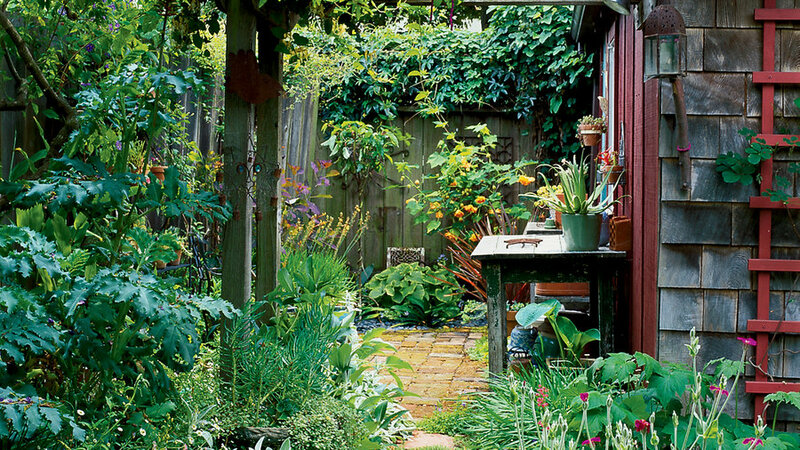 Turn a small side yard into an intimate nook that can double as a potting station and a space to unwind. 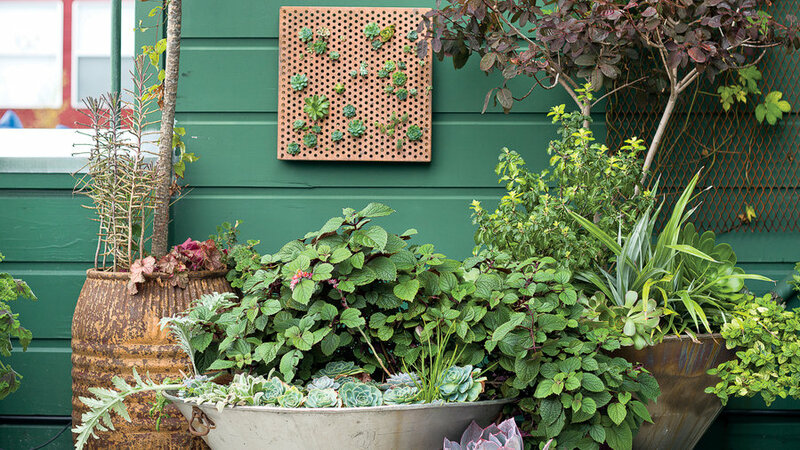 Start with a thin-walled, nonporous pot (at least 12 inches wide and 16 inches high) that has no drainage hole but will be easy to drill into—like the plastic ones shown here (Skörd planter, from $30; ikea.com). Drill a 1/4-inch- wide hole into its side, about 4 inches up from the bottom. Have little ones? Make unused space a haven for fun. 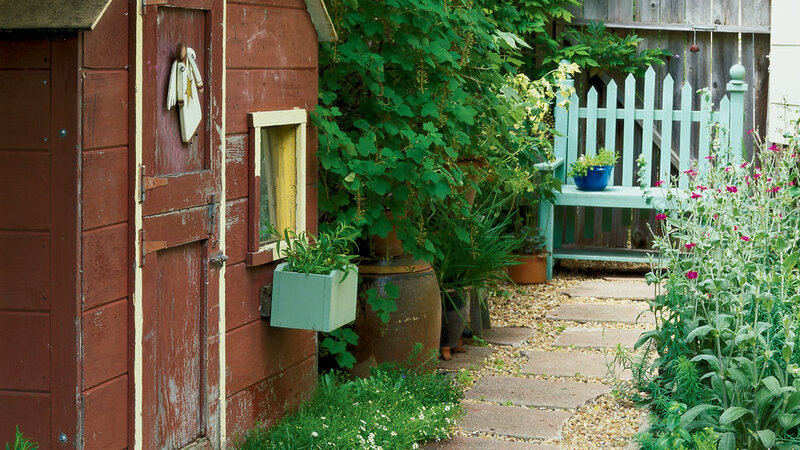 A recycled playhouse marks the entry to this side yard. Stepping-stones leading up to the pale blue bench were cut from the former driveway then set in Salmon Bay pebbles; a red-flowering currant supplies spring color. 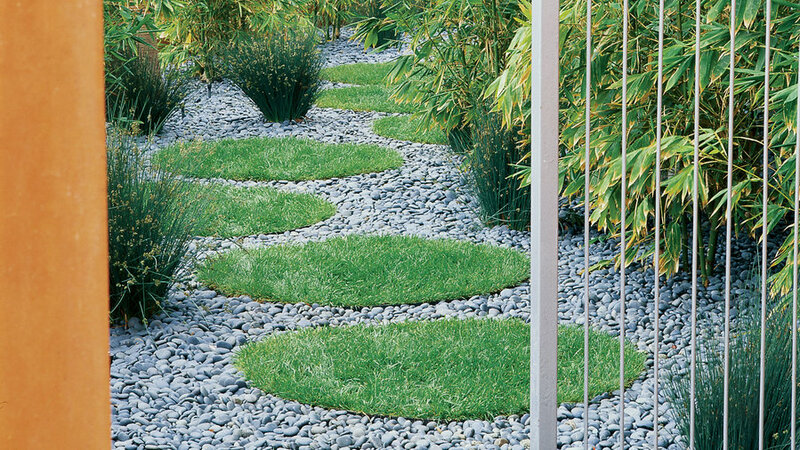 In this stylish side yard, grass circles appear to float on a river of black pebbles that winds through a grove of bamboo. 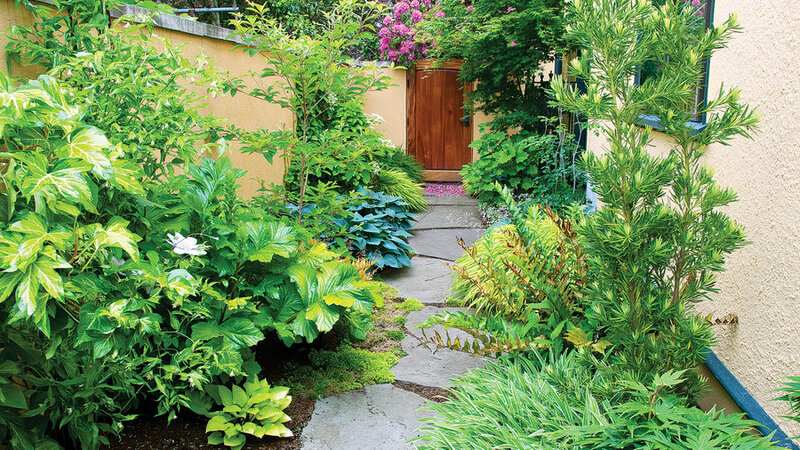 A side yard is a great place to install an intimate outdoor shower. 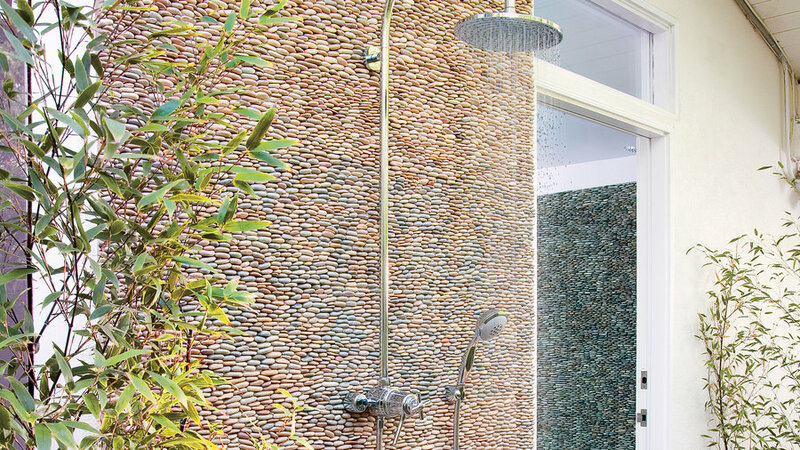 Here, interlocking 4- by 12-inch tiles faced with pebbles create an eye-catching texture for the back-splash. 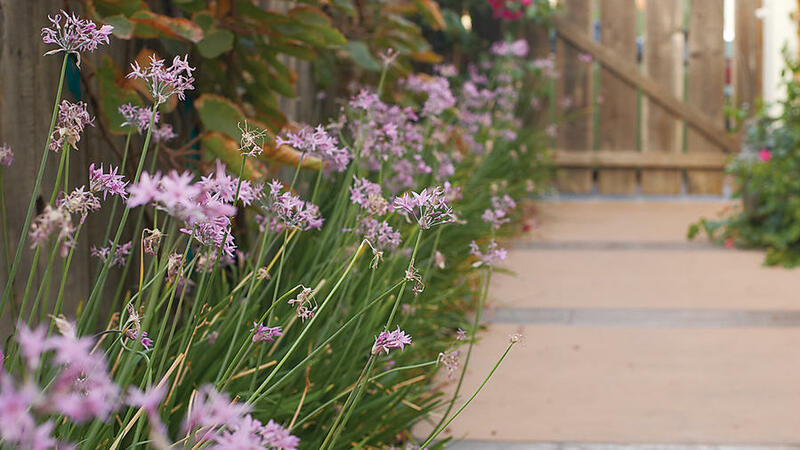 A society garlic border and a new path brighten this once-plain side yard.